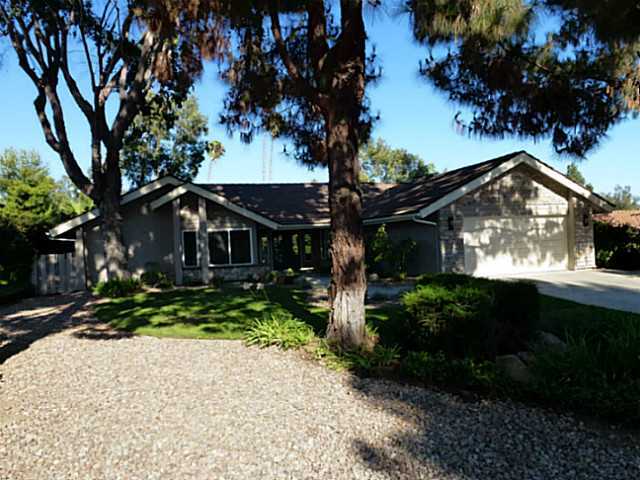 Located next to Stoneridge CC Golf Course's 18th green this 4 bed 2 bath Poway home has been gorgeously remodeled & upgraded. From the outstanding interior to the wonderful new outdoor living area you will enjoy living in this marvelous home. Wonderful kitchen boasts new cabinets with self-closing drawers & doors, granite countertops, stainless steel appliances & bar area with wine refrigerator. Outdoor living area has new natural stone tile flooring, fire pit, pergola & a hookup for your gas grill.